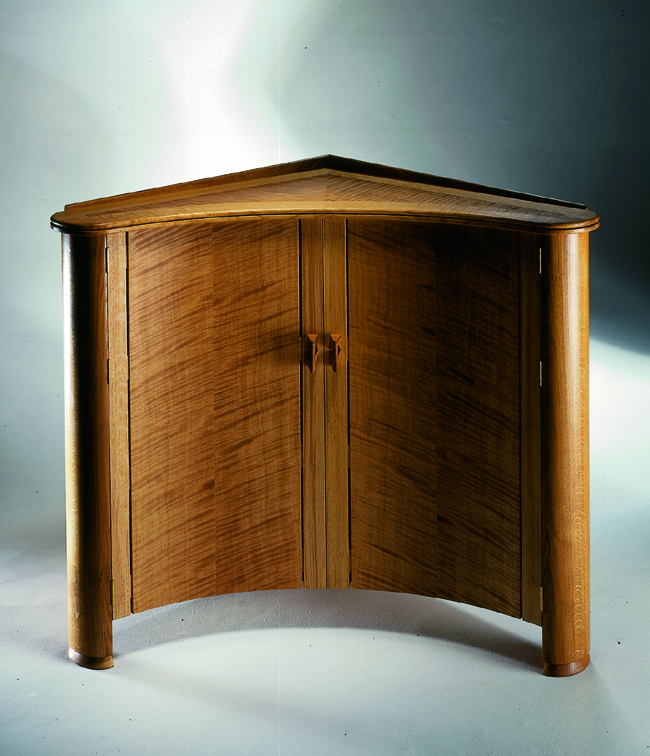 Convex steam bent rippled oak doors open on this corner cabinet to reveal a burr oak interior and set of drawers. This was commissioned by a Medieval historian. Available to commission.